Update-2: Justice Justice Hrishikesh Roy will be sworn-in as a Judge of Kerala HC at 1.45pm Today before Chief Justice Antony Dominic. Update-1 Kerala Governor P.Sathasivam has authorized Justice Antony Dominic, the Chief Justice of the High Court of Kerala to administer the oath or affirmation to Shri Justice Hrishikesh Roy, Judge of Gauhati High Court , who has been transferred and appointed as Judge in the High Court of Kerala, before he enters upon his office. 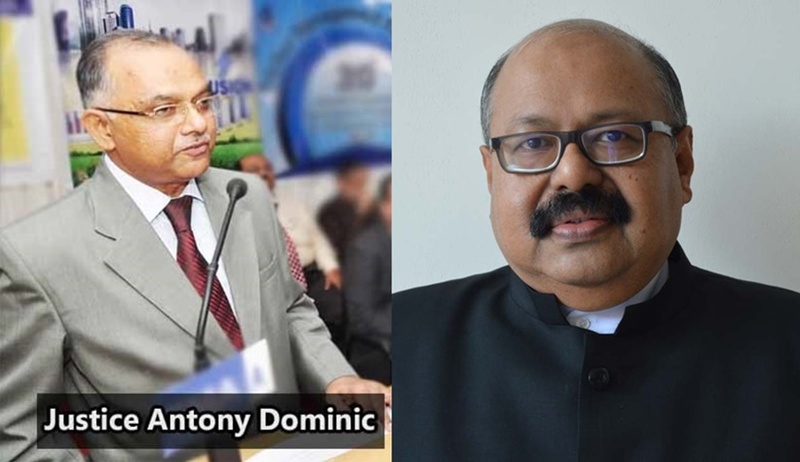 After a four month stint as the Chief Justice of Kerala High Court, Justice Antony Dominic is set to retire tomorrow. According to sources, Justice Hrishikesh Roy, whose transfer from Gauhati High Court to Kerala High Court was notified by the Centre today, is likely to be sworn in as the next Chief Justice of Kerala High Court this week. He is also expected to be sworn in as a puisne Judge on Tuesday. Justice Roy was recommended for being transferred to Kerala High Court in January this year. With Gauhati High Court being his parent High Court, he was the senior most puisne Judge of the Gauhati High Court and was also the Judge-in-Charge of the Administrative Department (JAD). He graduated in law from the Campus Law Centre, University of Delhi in 1982, and was designated as a Senior Advocate by the Gauhati High Court in December, 2004. For several years, he served as the Senior Government Advocate for the State of Arunachal Pradesh and was the Standing Counsel for the Assam State Electricity Board, and the Karbi Anglong Autonomous Council. He was then sworn in as an Additional Judge in October, 2006, and was made permanent in July, 2008. As per the High Court website, the Arunachal Pradesh Legal Service Authority, under his leadership, produced Apne Ajnabi, a short film on racial discrimination and the ways in which legal help can be provided to such victims. As the Executive Head of the Assam State Legal Services Authority, Justice Roy implemented the Reach Out & Respond programme to facilitate access to justice for the marginalized people of Assam. The Assam chapter of the Indian Law Institute (ILI) is also under his charge. Besides, for the past 8 years, a newsletter called ATMAN has been published under his editorship in the Gauhati High Court.